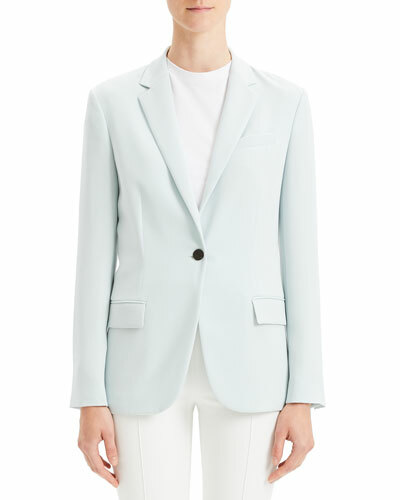 Derek Lam 10 Crosby paneled blazer with topstitching. Notched lapels; one-button closure. Double-breasted button details. Long sleeves; button cuffs. Chest welt pocket. Side flap pockets. Oversized fit. Vented back. Linen/lyocell/cotton. Imported. 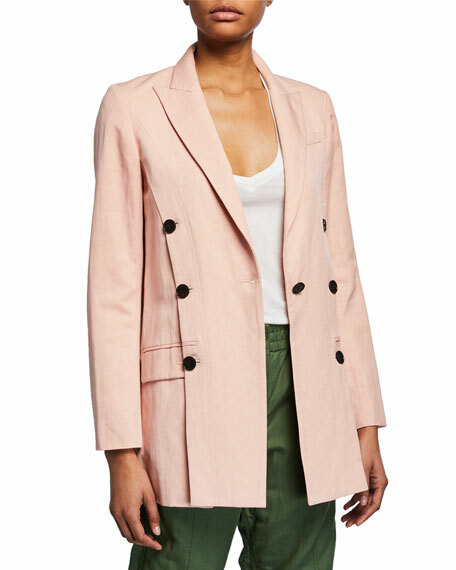 Derek Lam layered blazer in two-tone cady faille. Collarless neckline; single hook-and-eye closure. Long sleeves; four-button cuffs. 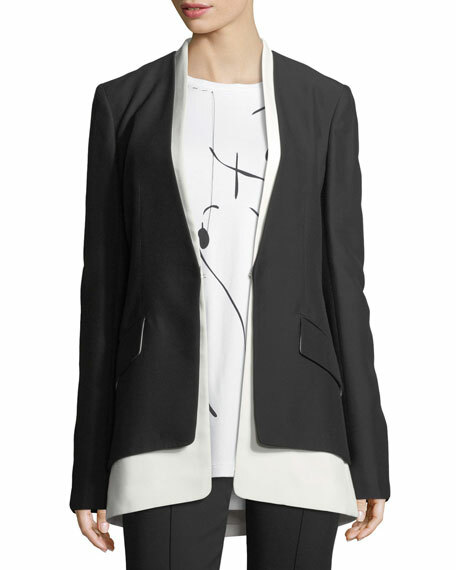 Slim, tailored silhouette. Flap pockets at sides. 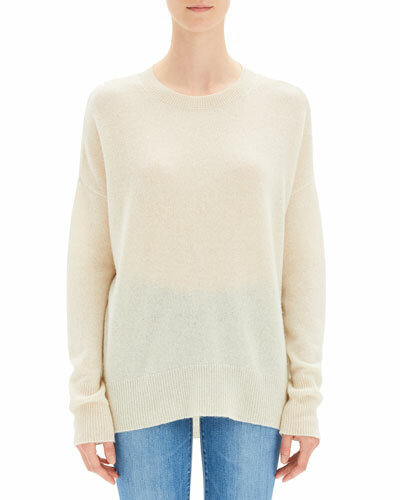 Long-line hem. Center back vent. Viscose. Made in Italy. 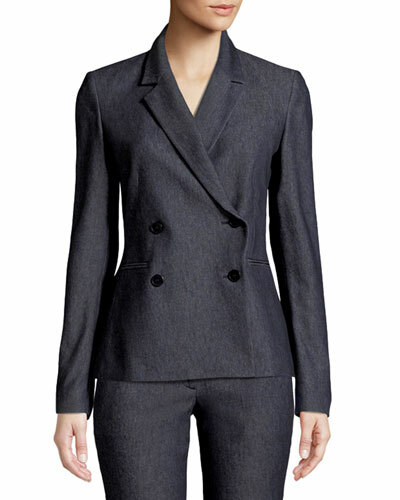 Halston Heritage crinkle crepe blazer. 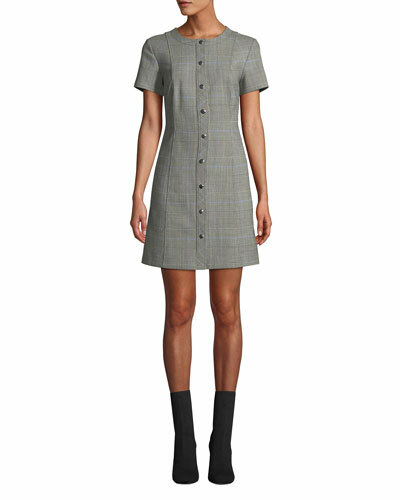 Spread collar; one-button front. 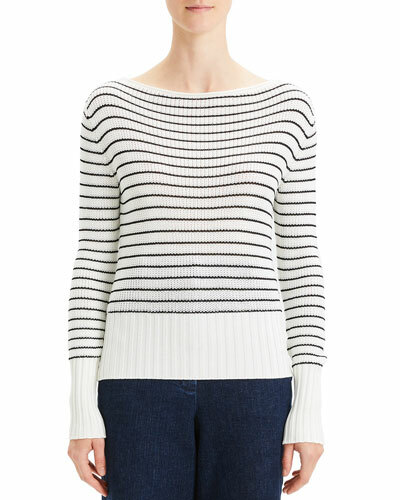 Long sleeves with front slits. Front welt pockets. Fitted silhouette. 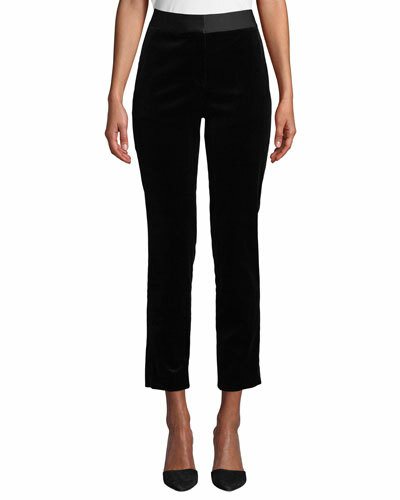 Below-hip length. Viscose/nylon. Dry clean. Imported.